GRAPELAND – What a wonderful way to spend a Sunday afternoon! 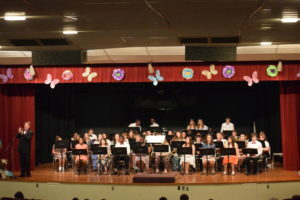 The Grapeland Sandie Band held its year end concert on Sunday, April 23 and treated the Grapeland community to a double header from the sixth and seventh grade band and the combined Grades 8-12 Mighty Sandie Band. 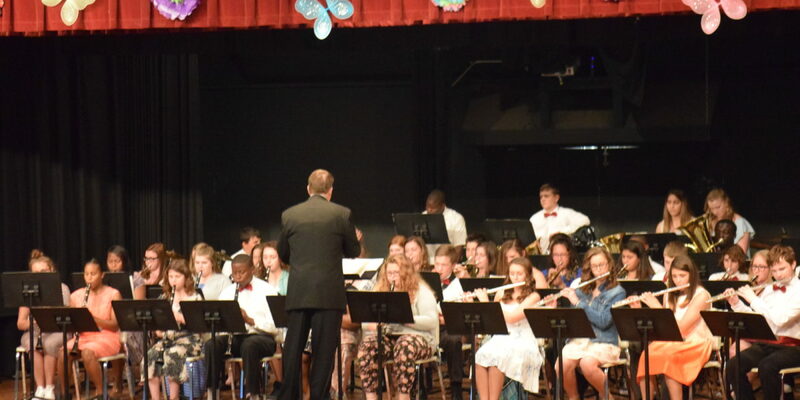 The wonderful sounds of woodwinds, brass instruments and percussion resonated through the Lorena Shultz Auditorium as the sixth and seventh graders took the stage under the direction of longtime band director Perry Frank. Frank led the younger band members through a selection of music which featured a variety of genres including classic rock, country and western and classical compositions. The selections included: Power Rock; Bandroom Boogie; Bugler’s Dream; Gallant March; Dragon Fire; Latin Magic; and Trumpet Hero. The band was made up of flutes, clarinets, alto saxophones, trumpets, trombones, baritones, tubas and percussion instruments. The flute players were: Madison Cobb; Emily Hanna; Jennifer Minter; and Dalyn Thomison. The clarinet players were: Kellie Catron; Cailyn Chapman; Maggie Hanna; and Alexis Lopez. The alto saxophonists were: Marley Duhon and Cole Goolsby. The trumpet section was comprised of: De’Unte Batts; Jessi Cunningham; Kierra DeCluette; Allison Hedstrom; Alexia Lott; James Musick; Eron Peterson; Ahmad Shepherd; Destany Till; Jacob Vaden; and Walker Webb. The trombone players were: Cyshia Black; JaMiyah Bowie; Lianna Brown-Ratliff; Jerterica Davis; Justin Mars; Trinity Miller; Corey Owens; and Kionte Willis. The baritone musicians were: Travis Barrett; Ryan Shelton; and Zamorian Smith. The tuba players were Nicholas Rea and Lakerian Smith. The percussionists were: Victoria Abbott; Clayton Brazzil; Jayce Elliott; Landon Jackson; Johnny Lamb; Sarah Little; Seth Luce; Stalye Thomison; and Omarian Wiley. When the younger musicians concluded, Frank informed the audience several of the band members had been out recently because of a Little Dribblers’ Basketball Tournament. As a result, the practice time was limited – which was hard to tell – based on their just completed performance. 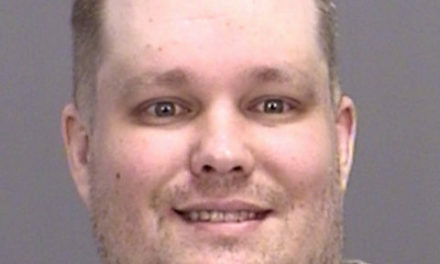 The ba nd director yielded the floor to the event’s auctioneer – Ansel Bradshaw – who began to sell off the donated baked goods to the highest bidder. Some of the sweet treats went well over $500, with a select few approaching the $1,000 mark. In conjunction with the live auction, a silent auction was held in the back of the auditorium with cupcakes, pies, cookies, cakes and assorted other goodies on display. Once the applause died down, Frank opened the second part of the program. 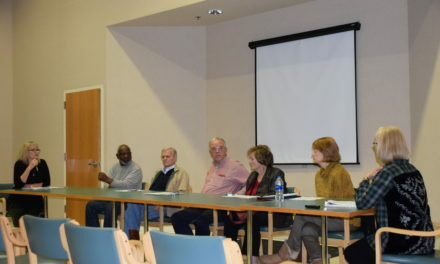 Frank informed the audience the funds raised by the concert would be used to provide three, $1,000 scholarships to the graduating seniors in the band while the remainder would go towards the purchase of an enclosed trailer to transport the instruments to and from various competitive activities. With that, the curtains opened and the band director welcomed the advanced band to the stage. After the introductions, the musicians launched into a set of eight compositions. The selections included: Broken Bow; O Mio Babbino Caro; Moscow 1941; The Spirit of an Eagle; Hello; Hey Baby! ; and 25 or 6 to 4. The band was made up of flutes, clarinets, alto/tenor saxophones, trumpets, trombones, baritones, tubas and percussion instruments. The flute players were made up of: Christi Shepherd; Kaylee Francis; Wyatt Web; and Alysha Williams. The clarinet players were: Hannah Anderson; D’Angelo Colter; Macy Cutler; Sonia Davila; Arionna Davis; Ashlyn Hughes; Jakara Jackson; Arielle Lane; and Sayler LeBlanc. The alto/tenor saxophonists were: Michael Anderson; Aliyah Brown-Ratliff; Kamryn Dilli; Cierra Espinoza; Augustus Kennon; J.D. Martin; and Makayla Smith. The trombone players were: Makayla McCombs; Bryan Perez; Colton Richey; and Cameron Shepherd. The trumpet section was made up of: Chris Baker; Cheyenne Bowman; Alyssa Dilli; Annalisa Hedstrom; Cayden LeBlanc; Taylor Mars; Madilyn McCombs; Stacie Perez; Kristen Raymond; Preslie Reynolds; and Dustin Weinert. The baritone players were: Ashton Henry; Trent Henry; and Spencer Martin. The tuba player was Kasey Scoggins. The percussionists were: Gracie Conner; Justin Cutler; Aaron Davis; Blake Howard; Teira Jones; Peyton Prater; Amy Puga; and Javacia Shepherd. 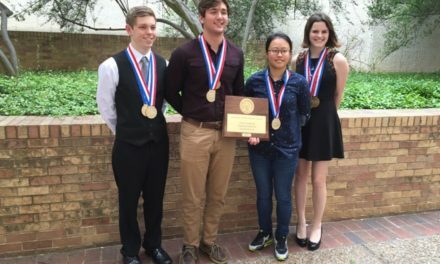 Earlier in the year, several of the band members had been selected as First Division UIL Soloists. These musicians were: Christi Shepherd; Cierra Espinoza; Cayden LeBlanc; Taylor Mars; Kristen Raymond and Kasey Scoggins. Ashton Henry, Trent Henry and J.D. Martin were also selected as First Division UIL Ensemble members.